Owing to our in-depth industry experience and precise knowledge of this domain, we are offering an outstanding assortment of Open Top Wooden Shadow Box. Being a prominent firm in this domain, we are engaged in offering a distinguished assortment of Plywood Box. We are the dynamic, business-oriented organization, ranking among the utmost entities in providing a wide assortment of Plywood Box. Pines are conifer trees in the genus Pinus in the family Pinaceae. They are the only genus in the subfamily Pinoideae. Counting varieties and subspecies, the plant list of the Royal Botanic Gardens. 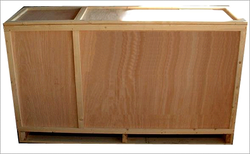 We are highly praised by the customers for offering Export Quality Plywood Boxes in many patterns. 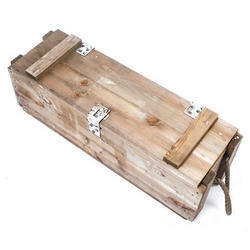 Our offered plywood boxes are appreciable in finishing and easy to use. Also, guidance of experts is followed to make these plywood boxes in numerous sizes and shapes. We charge nominal price for these plywood boxes. We have rooted ourselves as the leading enterprise committed towards providing Plywood Box.